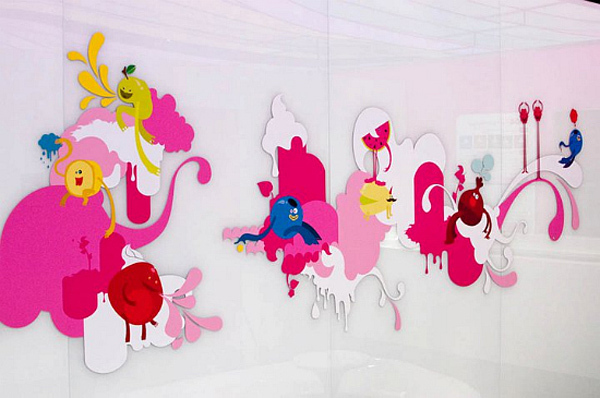 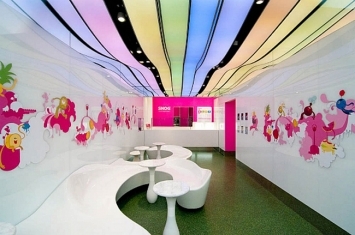 Cinimod studio have delivered their 6th Snog Pure Frozen Yogurt store, and as always, design and technology boundaries have been pushed to deliver a unique retail space.The Chelsea store presented unique design challenges that included a deep shop unit with a relatively narrow shop front. 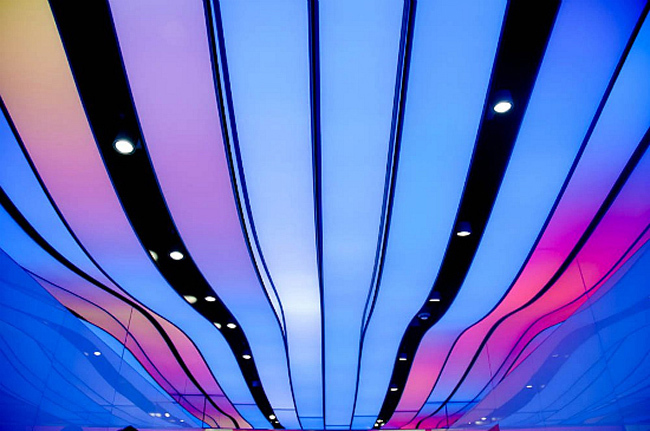 This led to the Cinimod design team seeking new and innovative ways to create a highly visible store that would deliver an eye-catching high street presence using a fusion between sculptured architectural and lighting elements. 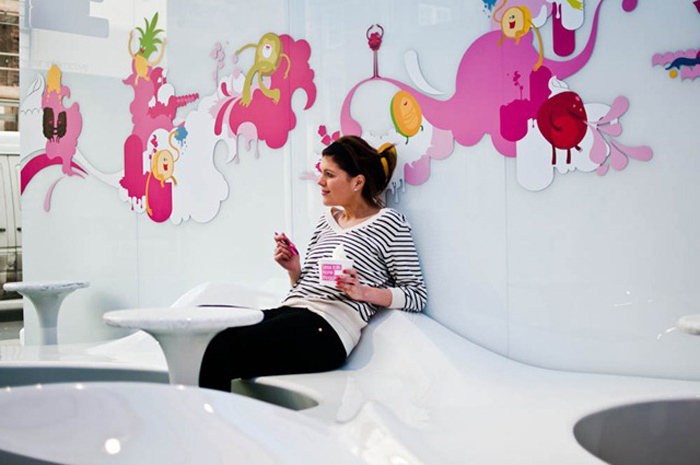 Building on design explorations from previous Snog stores, Cinimod have taken the integrated furniture and lighting design to new levels.